If you’ve ever tended a garden or potted a plant, you know a few simple truths about green things — they require water and nutrients to survive and their roots are good indicators of their overall health. So we water on a regular schedule, provide for root growth and add nutrient-rich soils to ensure a balanced diet. In nature, plants don’t get that kind of care — it may not rain often enough, the earth may lack specific nutrients and there’s a lot of other vegetation vying for the same resources. While leaves and branches reach skyward to capture the sun’s energy, the roots are hard at work, scrounging for those vital water and nutrient sources. 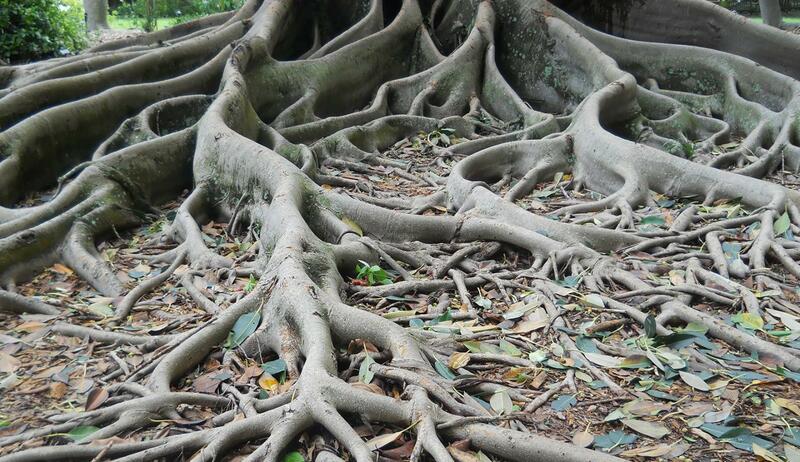 Environmental scientists have long used computer models to understand this root-to-resource dynamic, but until recently, these simplified models employed a fixed system of roots that doesn’t account for variations in resource stratification or, for that matter, the active foraging and adaption skills of roots. A new root algorithm developed by Beth Drewniak, an assistant climate scientist with the U.S. Department of Energy’s (DOE) Argonne National Laboratory, is among the first to shed more light on the ability of plants to adapt to local changes in environment. In a paper published January 28 in the Journal of Advances in Modeling Earth Systems, Drewniak describes a dynamic root model that she introduced into the Energy Exascale Earth System Land Model (ELM), a component of the DOE’s larger Energy Exascale Earth System Model (E3SM). The model examines roots for all vegetation in ELM — trees, shrubs, grasses and crops — across many ecosystems and over different seasons. Where previous attempts at dynamic root models focused on either maximizing water uptake or nitrogen uptake, Drewniak’s addresses both. The new root distribution within the model is driven by water stress — how much water a plant needs versus how much water is available. When water stress is high, the plant focuses root growth where water is present in the soil. When the plant has ample water, root growth is concentrated where nitrogen exists. Changes to root distribution, notes Drewniak, affect a plant’s water uptake, which can impact evapotranspiration, photosynthesis, productivity, and other plant dynamics. To gauge the model’s accuracy, Drewniak focused on how well the model performed compared with observations of root distribution and vegetation growth, as well as the model’s sensitivity to water stress. Overall, the dynamic root model was able to capture the vertical distribution of roots fairly well and improved the simulated productivity of vegetation compared with satellite observations. Regions in which the model does not fare well include the Amazon, African tropics and southern Asia during their dry seasons, when plants typically rely on deep roots to extract water, which is not captured well by ELM. Drewniak’s article, “Simulating dynamic roots in the Energy Exascale Earth System Land Model,” appeared in the January 28 issue of the Journal of Advances in Modeling Earth Systems. Funding for this research is provided by DOE’s Office of Science.